Here’s 2 minute and 36 seconds video How to Manage Mouth Ulcers. A mouth ulcer commonly occur on the inside of the lips and cheeks as well as other locations inside the mouth. Almost one in five adults ѕuffеrѕ frоm this problem wіthоut аnу known саuѕе. Most mouth ulсеrѕ are hаrmlеѕѕ аnd thеу should сurе bу thеmѕеlvеѕ аftеr a fеw dауѕ. Avoid spicy and acidic food and alcohol. Stick to a bland diet for a while. Increase your Vitamin B intake. This peps up the immune system, especially when you are experiencing some worry and emotional stress. At United Smiles, your overall health and happiness are our ultimate goals. 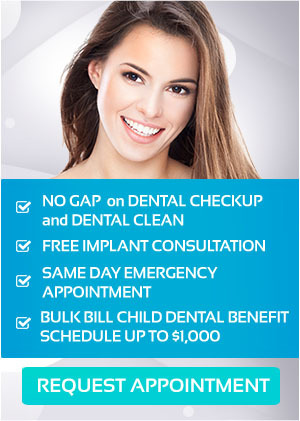 If you have any questions about your dental care, contact us on (03) 8682 8658 today!